Yeah, Some birds will nag the heck out of you... I get the message... 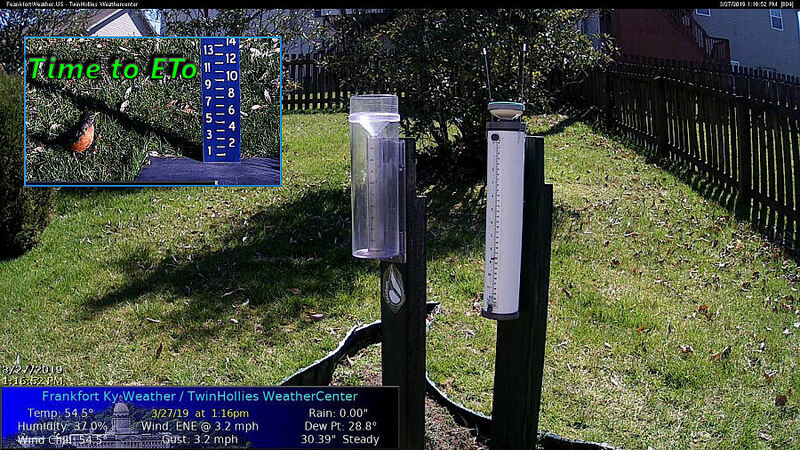 Snow Gauge to Storage... ETo to Active.. Couple of things... remember the Canvas is #30 Grass...Check the PTFE wafer... they WILL stick to the ceramic, if not replaced at least annually.. more than one season is NOT recommended.. They can mess up the ceramic surface and be a pain to clean up. The PTFE wafer is definitely a consumable. the Canvas is not... it can be cleaned and reused.. over and over, if done 'gently'.... I replace the original (2012) in 2017, and am still on the 'second'... but the wafer MUST be replaced seasonally, or you're asking for big irritation and bad data. Page created in 0.088 seconds with 26 queries.